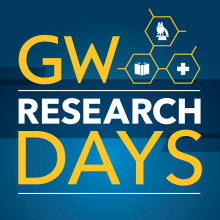 It is an exciting time for research at GW, with approximately 70 centers and institutes and research in cutting edge projects in science and technology, health, public policy, global security, and the arts and humanities. Research and innovation are driving forces advancing GW as an academic institution and society as a whole. The Office of the Vice President for Research works diligently to strengthen existing initiatives and expand into new multidisciplinary fields. Working collaboratively with principal investigators and their department staff, our Office of Sponsored Projects team ensures successful submission of proposals and compliance throughout the life of the project. In partnership with departments across campus, including the Division of IT, Grants and Contracts Accounting Services, the GW Libraries, and more, the Sponsored Projects team works to support research. It is the responsibility of everyone at GW to comply with federal, state, local laws, regulations and university policies in all aspects of any research conducted for or on behalf of the university. For more information on programs and initiatives that support ethical and responsible research at GW, please visit the Research Integrity section of our website. Select collaborative research areas have been identified as institutional initiatives. The university is developing a more robust research portfolio in these areas: autism, computational biology, cybersecurity, the global status of women, sustainability and urban food studies. The Office of Innovation & Entrepreneurship serves as a focal point to foster, promote, and perpetuate quality academic research, education, and outreach programs. It leverages the unique strengths of GW’s schools in the nation’s capital to serve society at large through the knowledge and practice of entrepreneurship. The Office for Industry and Corporate Research promotes industry collaboration at GW by better aligning the needs of both GW researchers and industry. We engage University Administrators, Faculty and Staff with corporate leaders to help bridge the "cultural" and "linguistic" differences between industry and academia resulting in Mutually Beneficial Partnerships. GW charters and re-charters scholarly centers and institutes to facilitate the strengthening of research and scholarly activity capabilities throughout the university. Becoming a chartered center or institute reflects a university seal of approval and results in the inclusion in listings of scholarly units. Click here to subscribe to OVPR Research Updates, a monthly newsletter of funding agency, procedural and compliance updates. 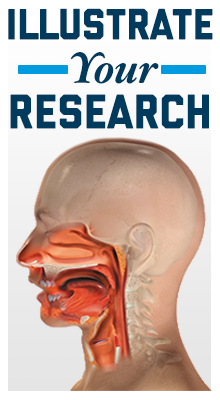 Click here to sign up for Research Enhancement services.